Afternoon Tea dates back to the 19th century. People were used to having two meals during the day namely breakfast and dinner. The Duchess Anna of Bedford found herself to be hungry in the afternoon and started her little routine of not only having a cup of tea but accompanying it with a small treat. Later on, her friends started to join her and soon she was sending out invites. Other Duchesses picked up the habit and the Afternoon Tea became popular and was even moved into the drawing rooms. That’s how the Afternoon became a respectable and elegant tradition. Sadly, nowadays it is only done as an occasional luxury in hotels or great restaurants. 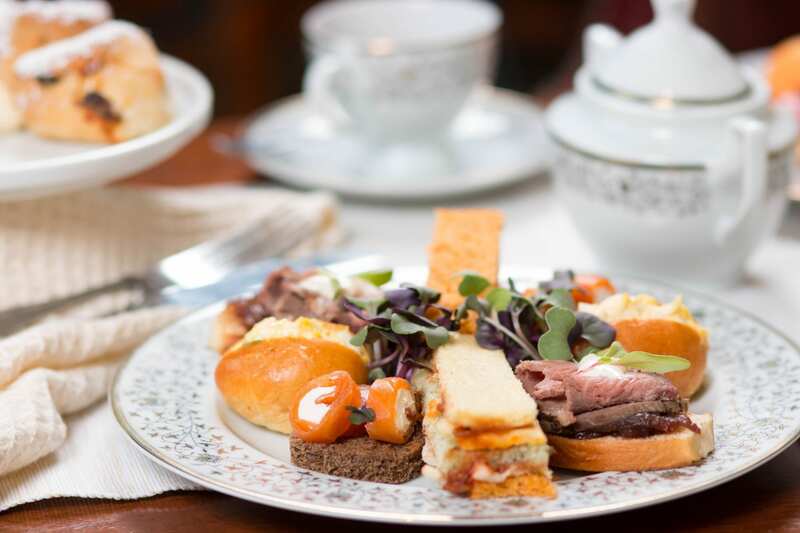 Afternoon Tea is a meal composed of tasty sandwiches, sweet cakes, pastries, and in the 20th-century scones with jam and butter have been added. The order should always start with savoury and end with sweet. The tea should be served between 3:30 pm and 5:00 pm to be a proper one. The special Afternoon Tea has usually a 2 or 3 tier tray presented with napkins, teapots, nice china cups and saucers. The tea should be boiling hot and be served with milk. Usually, the chosen tea will be an English breakfast. Etiquette: The tea should be held with the right hand and the tea plate with the left one. You should never stir your tea since it becomes bitter and don’t let it infuse for too long. There is one reason why people love afternoon tea this much: It’s delicious. It is something that you can’t treat yourself with every day since it is an expensive experience. On the other hand, it’s all about recreating the art of old-fashioned finery and you should not try to save money on this. It is not all about the tea but also about the location. You do not enjoy afternoon tea in your kitchen at home but you do go to a luxurious hotel and let yourself be served with plain white napkins. Eventually, you enjoy a glass of bubbly champagne with it, if you want to go the extra mile. Another reason that makes it very special is that it’s enjoyed on social occasions, as a present or on a special day.